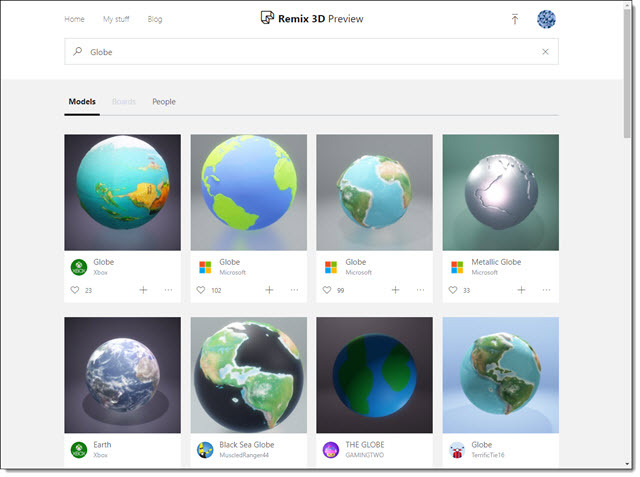 Microsoft is making a big push into 3D and is supporting all users with some new tools. 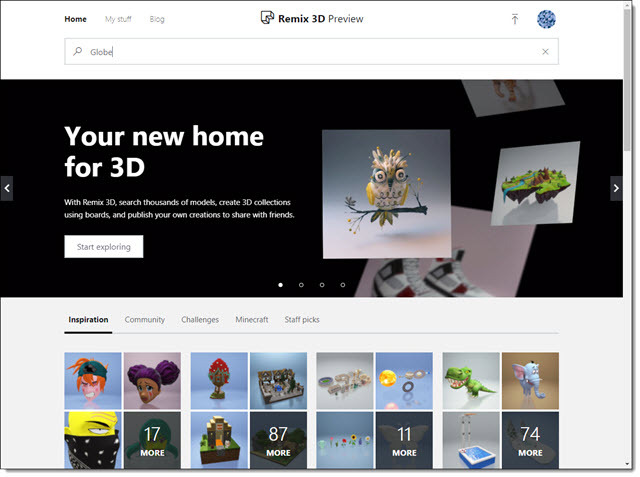 Remix 3D is a Microsoft offering, and uniquely the site has minimal Microsoft branding, and can be used by anyone. Remix3D has a wide variety of 3D models (and by “wide variety” I mean cheesy cartoon quality to more professional subject matter). Everything on Remix3D is FREE and completely royalty free! 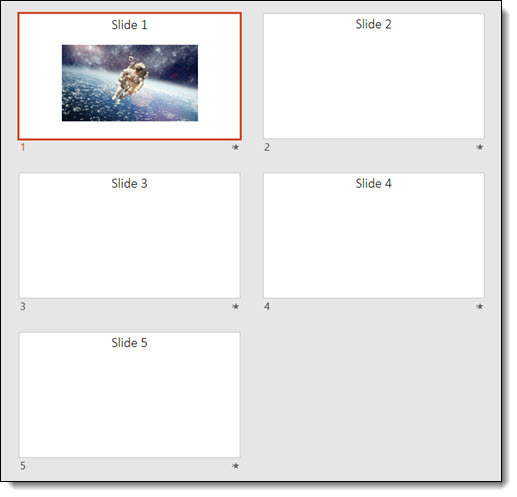 PowerPoint has very recently added the ability to add real 3D models to slides. Here at TLC Creative we feel having support for 3D models in presentations is going to add a great layer of visual styling options! Previously adding a 3D model meant exporting a .png image or movie file of the model. Now we can add the real 3D model, maintaining its 3D attributes. To use any of the Remix3D.com models in PowerPoint (or Word, or Excel) you can either go direct to the website, login (a Microsoft account is needed, not necessarily your Office365 email), download and insert onto a slide. As example, searching for “Globe” there is a good selection of models to choose from. 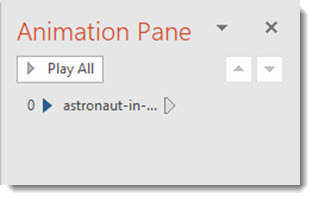 The other option is to search and insert directly in PowerPoint. Remix3D works seamlessly with all Office apps (PowerPoint, Word, Excel), including the new Microsoft Paint 3D application. The integration is impressive. 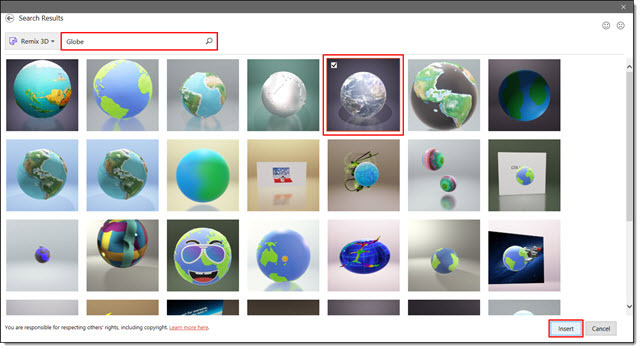 Using Office 365 PowerPoint go to INSERT > 3D MODELS > FROM ONLINE SOURCES. The dialog that opens is a view of Remix3D’s library. Search and find a 3D model and click insert. 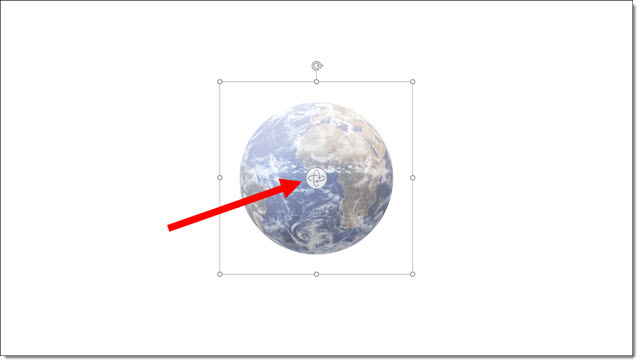 Here is a search for “Globe” in the PowerPoint direct dialog. All the same models. Find the 3D model you want and click INSERT. The background behind the 3D model is not going to be inserted, just the model over the slide background. When searching through the website, you can interact with the 3D models to rotated on all axis’ to view. But the PowerPoint direct dialog is only a static image of the 3D model. The selected 3D model is placed on the current slide, centered on the slide. 3D models are vector act, so they can be scaled to any size with no quality loss. In addition, 3D models has a new center activation icon that allows it to rotate, zoom and pan the model to the desired view for the presentation. Throughout this month we are highlighting using 3D models in presentations with the TLC Creative design team’s PowerPoint demos that integrate 3D models. Lori and I were featured in a great PowerPoint Productivity Tips list (Lori tip #16, Troy tip #18) a few months ago, which is something definitely worth reading (see blog post with link to full article here). 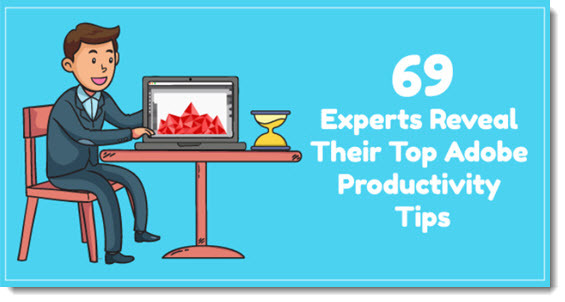 Recently, Paul at Acuity Training in the UK sent me a link to an Adobe Experts Productivity Tips article they posted, and it has some great power user tips and hacks, definitely worth bookmarking. Full article here. Keyboard shortcuts are fantastic time savers. Recently, I was reintroduced to a Windows keyboard shortcut while I have been watching the PowerPoint performance on some animation/image/video heavy presentations. 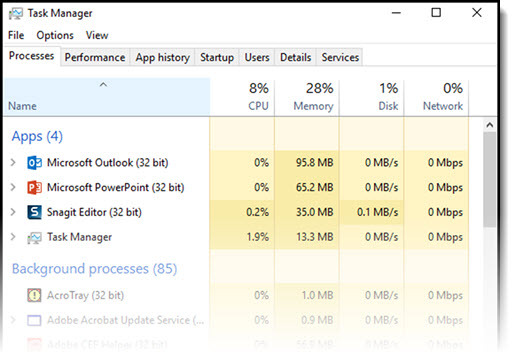 What I want is the Windows Task Manager to be open on one screen so I can see how the computer is processing the presentation. This one of those great, free, online apps that just makes life easy for certain projects. You have 9 videos and need a total run time – drop in the 9 times and it provides a total. Reorder to get the best combination to have a break at the 10 minute mark. 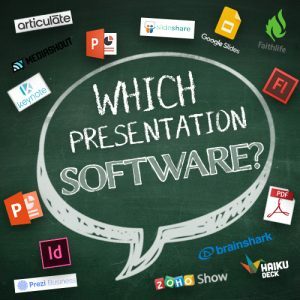 If you have 9 presenters, 90 second transitions, a 2:00 minute opening video, and anything more – drop in the times for each and get a total run of show. 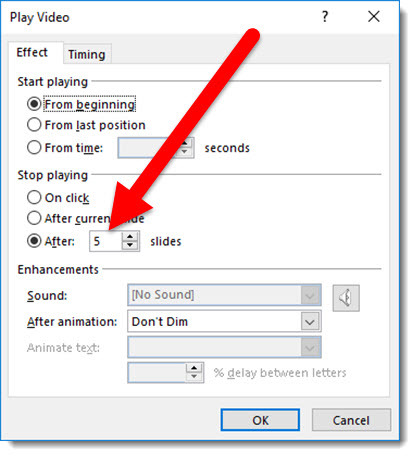 If you have 10 autorun slides, each with a 1 second transitions, and you look at the animation pane for the animation duration – drop in all the times and you get a total presentation duration. This is a simple and good resource to have when needed. 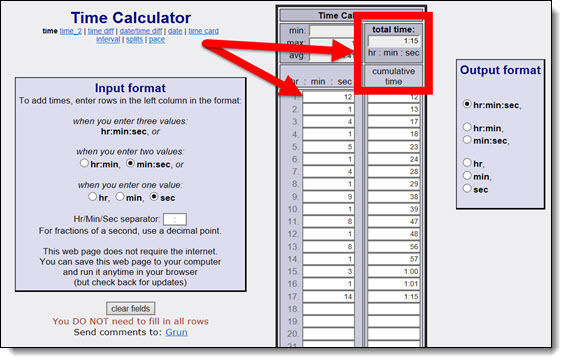 I recommend bookmarking the Time Calculator webpage for any future needs. 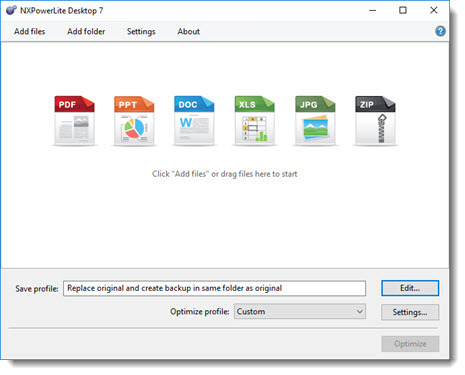 TLC Creative Services has been a long-time user of NXPowerlite to quickly optimize presentation files to manageable sizes – without losing image quality (see this post on the TLC’s custom NXPowerlite settings). 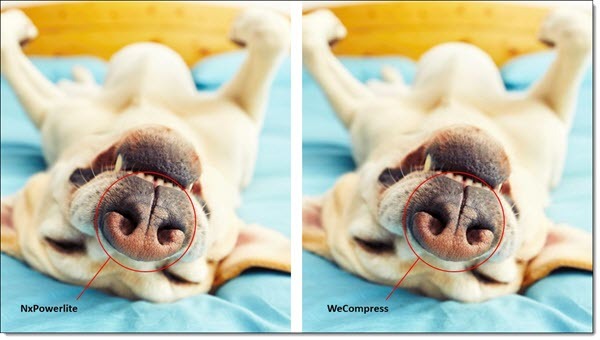 Microsoft’s internal image compression has improved a lot over the past few generations of PowerPoint, but I still find 3rd party tools do a better job. 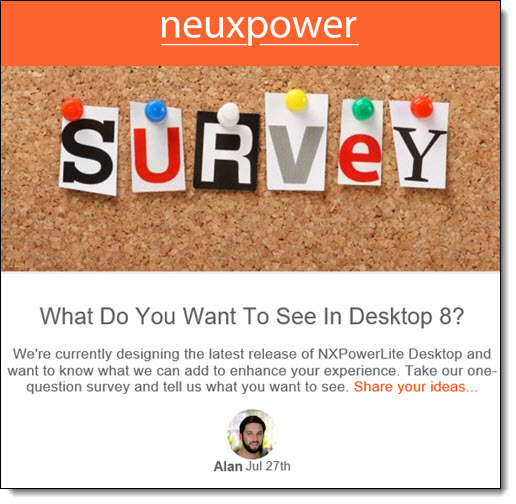 No sponsorship here, just letting everyone know that the NXPowerlite Black Friday sale is a good deal to take advantage of if you do not have an add-in to optimize presentation files. The Windows Desktop version is regulary $50. Purchase Friday, November 25th at 50% off. $25 is a great value and a smart addition to any designer’s toolbox. 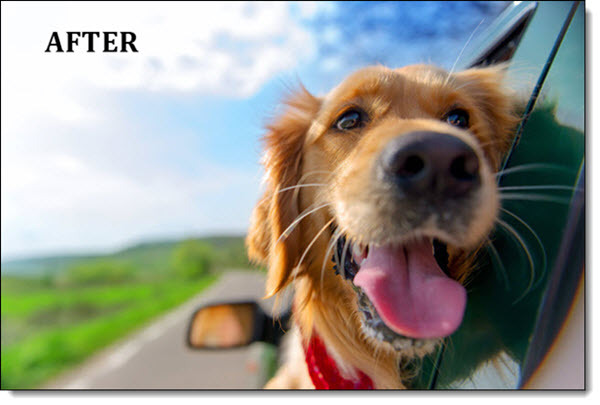 Go here for the Neupower sale page.